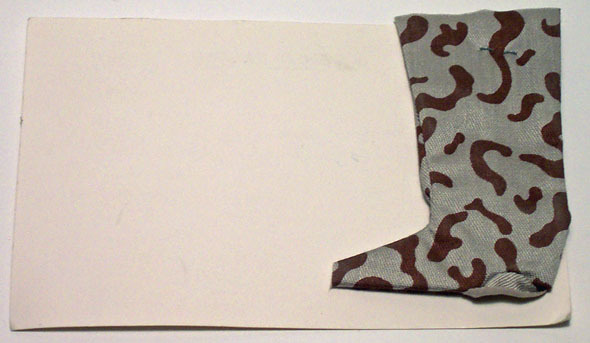 This is a very nice example of a Kenner QC or quality control sample. 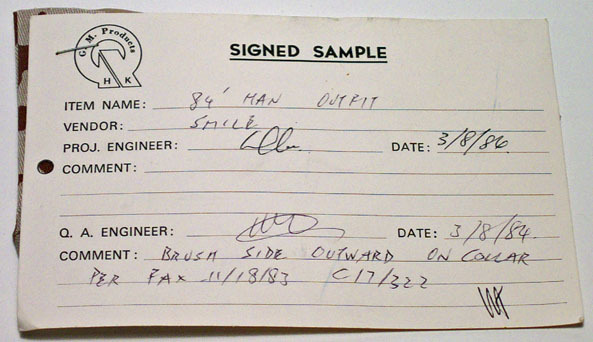 This is a Han Solo Trench Coat that has been stapled to an index card. That card has several signatures and dates on it. In this case it also lists some minor changes and notes about the item. These pieces were sent from the vendor to Kenner to make sure all the paint and features of the accessory were correct. Other examples have shown up for other accessories as well. This only goes to show how far Kenner went in making their product correctly.